GGG Shaders - it is very beautiful shaders for Minecraft Pocket Edition. They will make your world much brighter and more beautiful and realistic. It's really great shaders and probably one of the best. If you are tired of playing with a standard textures, we recommend to install the Faithful texture pack or other high-quality texture pack and install these shaders. You will see the indescribable beauty! Water now has a more realistic colors which will make the water more beautiful and livelier. 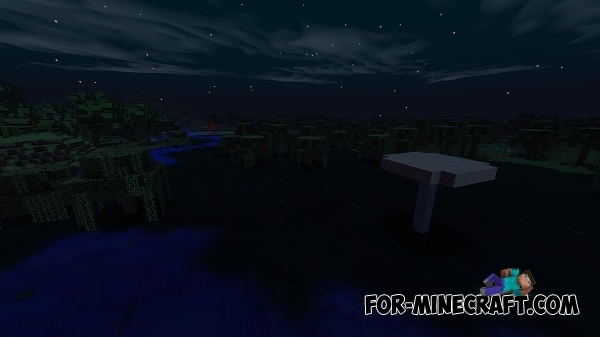 It is especially beautiful in the swamp biome during the night. You should also pay attention to the clouds which will be just like the real by these shaders. 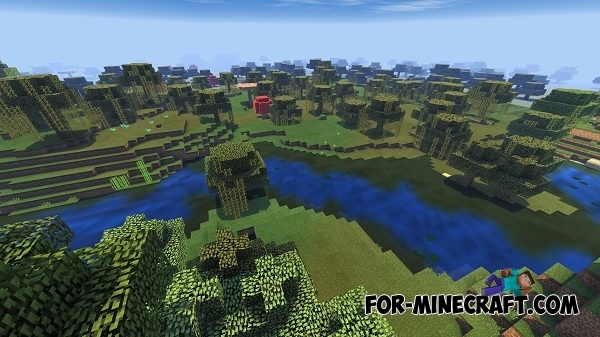 Open the "texture pack" section and click "Add". Find the downloaded shaders and click on it to add. Shaders are installed, an enjoyable game! How can I download or install this!!! ?